Illustrations are a fun way to decorate stationery. I’m currently working on more decorative illustrations for stationery and other products. About these items: I love the symbolic meaning of scarabs. 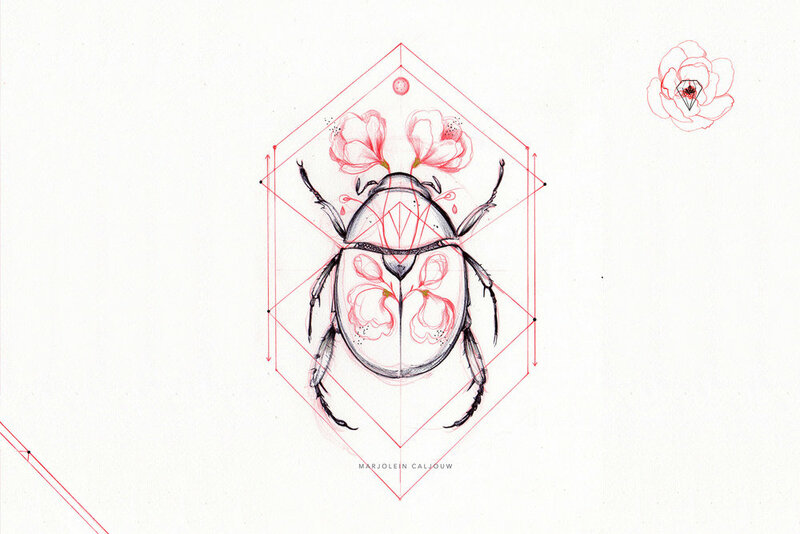 In Ancient Egypt the scarab was seen as a symbol of this heavenly cycle and of the idea of rebirth or regeneration.